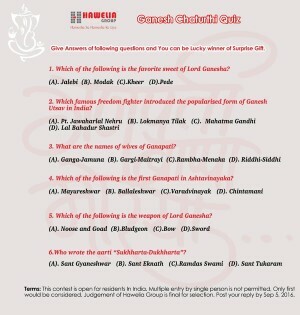 On this Ganesh Chaturthi Hawelia Group is conducting a nice contest. This is a Ganesh Chaturthi Quiz Contest and this contest is on Facebook. All you just have to answer some simple questions. 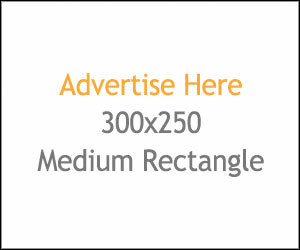 You could have a chance to win surprise gift. 1.) Which of the following is the favorite sweet of Lord Ganesha? 2.) Which famous freedom fighter introduced the popularized form of Ganesh Utsav in India? 3.) What are the names of wives of Ganapati? 4.) Which of the following is the first Ganapati in Ashtavinayaka? 5.) Which of the following is the weapon of Lord Ganesha? 6.) Who wrote the aarti “Sukhharta-Dukhharta”? This contest is ending soon. Participate now and win surprise gift.